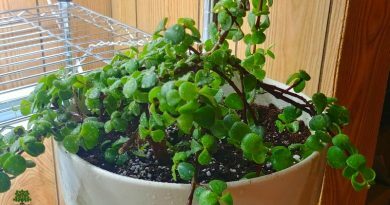 Jade Tree Care – How Do I Move This Big Thing? 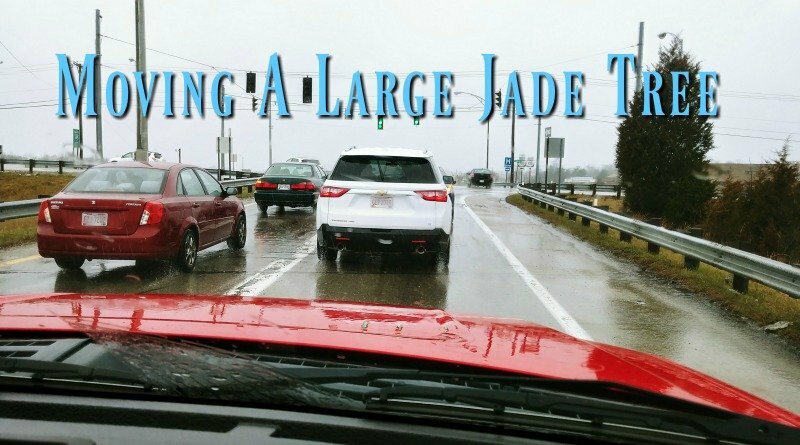 My daughter and I have both had Jade Trees or Jade Plants. 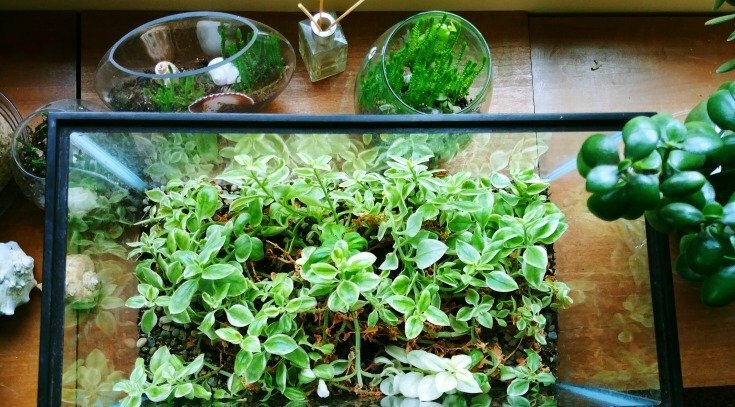 When it reaches a certain size it becomes a Jade Tree. 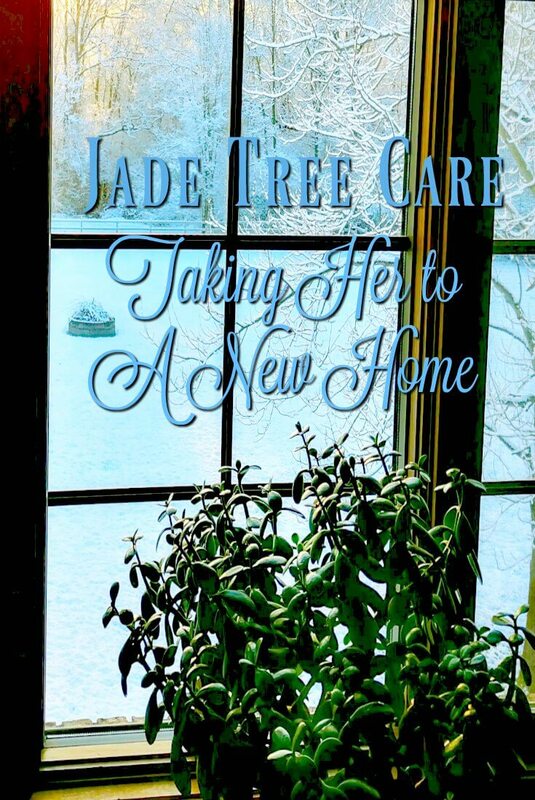 So both of us feel pretty experienced in Jade Tree Care, but when it came to moving the thing to another home, we both were a little nervous. Would all our years of care amount to nothing when this Jade Tree collapses under its own weight? But it has to be done. It was not going to be left behind. This particular Jade Tree has been on a few rides in its lifetime. I remember how nervous we were when I bought it for my daughter and we carefully drove it home from the garden center. It was a lot smaller at the time, but still a large plant. 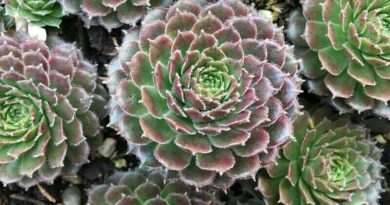 These succulent plants have large fleshy stems and the weight of those oval leaves can get pretty heavy. Add that to a large stem and hitting a big pothole in the street can be a disaster. But we made it home. Remember when I wrote previously about her husband bringing it to my previous home when they moved in? Maybe if you don’t worry so much, things go well. But the Jade Tree survived that well. Maybe it is healthy because she takes such good care of it. 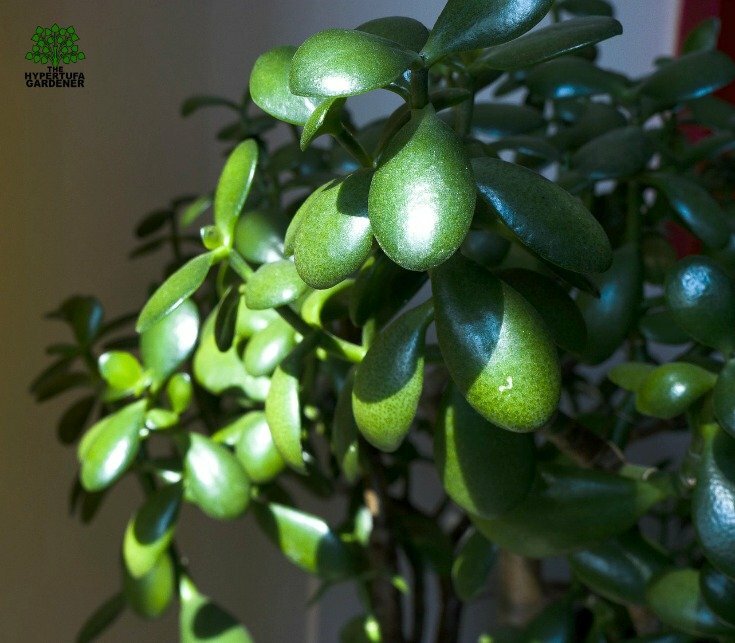 This is what we know about Jade Tree Care. I know she waters it only every few weeks, giving it a good drink of water. 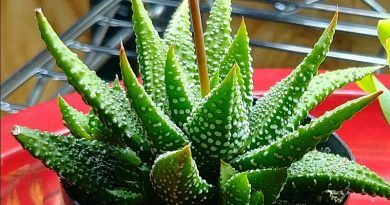 The biggest danger to any succulent plant is too much water. And this one is so very healthy, it sure seems she is doing the right thing for it. Also lighting is the next most important thing. She had hers in a south-east facing window with a slight overhang outside. The Jade Tree ( Crassula) got bright light but not the heat of the sun. It was the perfect place. When we moved it to my previous house, we put it in the same facing window and it did really well. Only once in a while did it lose a leaf and it continued to grow. Good job! At the new house, we have the Jade Tree in a window facing the morning sun, slightly East Northeast. This is different for it, but it seems to be doing well. It gets the bright morning sun only and then just the afternoon light for the remainder of the day. It has been bright out there, since we have had snow, snow, and more snow. So the brightness of this spot is undeniable. Here is a video of the drive in the pickup over to the new house. It was an adventure and I feared for the plant the whole time. My method for moving was to hold it in my lap in the front of a pickup. Lots of area room and it fit if someone hands it in to me after I am sitting. I guess it goes without saying that someone has to take it from you when you get to your destination. She is now joined by her other plant companions. Remember the Baby Sun Rose that I planted in an aquarium? My son took care of that at his house and it survived well. I know I shouldn’t sound so surprised, but he is single and I feared that it would be neglected. But he took good care of it. Look at how it has grown! I will have some good cuttings to start new hanging pots! You know what the best part about the new house is? I have more room for plants. Much to the dismay of my husband and son-in-law. I guess I get the last laugh! Warty Growths? Doesn’t Sound Like An Attractive Plant – But It Is!